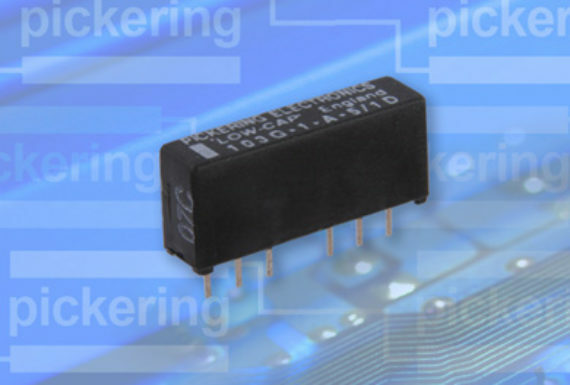 Pickering’s Series 103, 103M & 103GM Reed Relays are a great choice for low capacitance applications. These relay ranges do however have internal mu-metal magnetic screens fitted. In high density applications when more than one relay may be operated at any time, for example, ATE switching matrices, it is usually necessary to use a relay that includes internal mu-metal magnetic screening. Without this, the operate and release voltages of the relays will be altered by the extraneous fields from adjacent devices. This means that when temperature effects are also considered, it may not be possible to operate a relay at its nominal coil voltage. A magnetic screen is therefore important when relays are used in this way. However, the addition of this screen does have the effect of slightly increasing the capacitance figures of the relay. 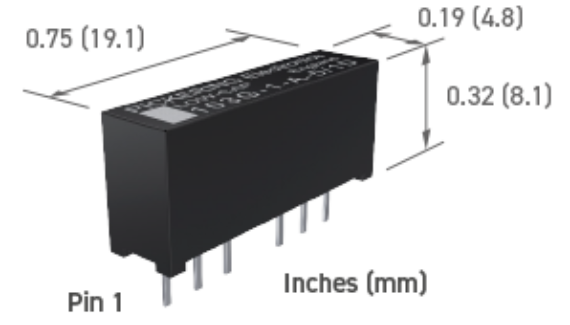 The Pickering Series 103 is a range of Single-in-Line reed relays intended for such applications as wide bandwidth A.T.E. switching matrices, attenuator switching or any other applications where exceptionally low levels of inter-terminal capacitances are required, for example, when carrying fast rise time pulses.